I've got to say, of all the trailers I've seen and posted lately, Midnight Son stands out the most. From what I can tell the story looks well developed, the acting is decent, and the production values are high. 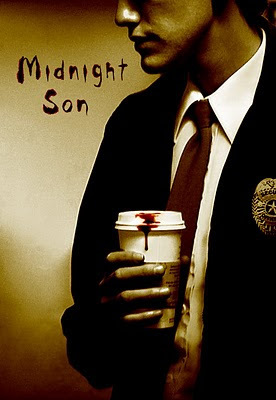 And the "Midnight Son" of the movie's title is easy on the eyes, which is not always a given when it comes to vampires (although always much appreciated). Even less common in most vamp flicks are interesting human characters, which (again from what I can tell) seem to be in abundance in this movie. Definitely high on the must-see list. Want to find out more (like how to get this film into your local theatre)? Click here.